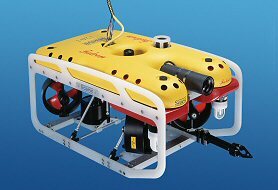 Saab Seaeye Limited manufactures electric powered Remotely Operated Vehicle (ROV) systems for a wide range of professional applications. The range currently extends from the portable and versatile Seaeye Falcon to the revolutionary electric work class Seaeye Jaguar. Saab Seaeye Limited is a wholly owned subsidiary of Saab Underwater Systems AB. The company was formed in 1986 by Ian and Janet Blamire to specialise in the manufacture of electrically powered Remotely Operated Vehicles, ROVs, for the offshore oil and gas industry. Saab Seaeye has delivered over 800 vehicles to date and has become the benchmark by which all electric powered ROVs are compared today. Saab Seaeye has recently expanded its production capacity by 50% with the opening of a new 24,000 sq ft factory in Fareham, Hampshire, UK. The factory at Fareham, Hampshire, is just over an hour by road from London's two international airports, Heathrow and Gatwick and between the south coast ports of Portsmouth and Southampton for easy ferry access to the continent. This facility includes workshops, test tanks, office & meeting facilities as well as a thruster pressure test area, motor room and design engineering office. A classroom is available for the ROV technical training courses offered to customers. In house engineers using the latest computer aided technology, that allows a fast turnaround between concept and a final product, design all of Saab Seaeye's products. A fully equipped prototyping machine shop is available for development engineering as well as the fast turn around of small batch items. Machining of standard, large volume items is subcontracted to approved specialist manufacturers. A team of electronic and mechanical engineers and technicians carry out assembly and testing of the sub assemblies and systems. As well as having their own test tank, Saab Seaeye have an arrangement with QinetiQ at Haslar, for the use of their local 400 x 200 x 18 foot deep test tank for ROV evaluation and testing. This facility is invaluable for hydrodynamic testing and the final trimming of new systems as well as the development of improvements to existing products. •DNV ISO 9001 accredited company. •Long established products with proven track record which have been constantly improved over many years. •Over 800 Saab Seaeye vehicle systems sold. •High quality customer service / offshore support, including 24h emergency contact number and comprehensive stock holding. •Worldwide network of experienced representatives. •Innovative engineering team using powerful design tools. •Customised solutions to meet client requirements. •Comprehensive production & test facilities.